Sonia and I have made it to campgrounds in the Jersey Shore area a couple times this year, but we haven't spent much time on the beach or on the boardwalk, and thus, we haven't really indulged in the official state candy of New Jersey recently. 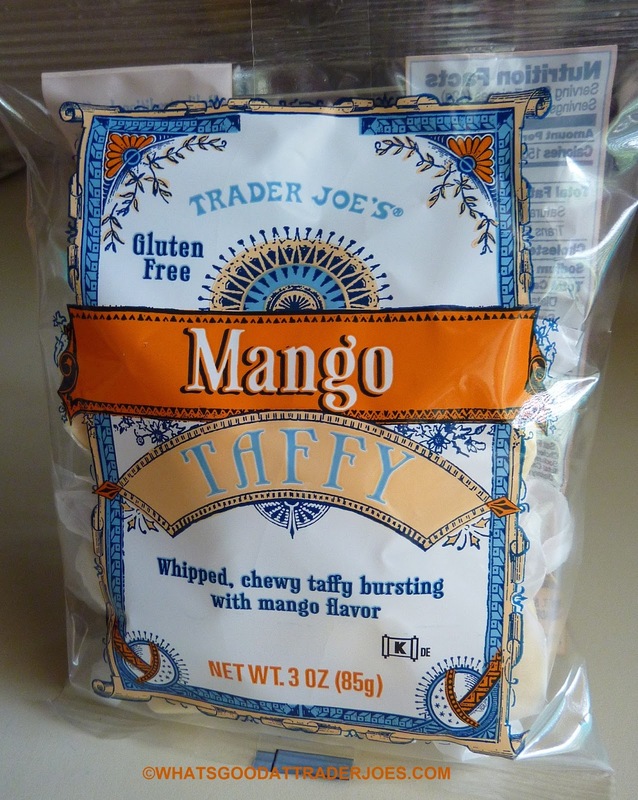 In lieu of said saltwater taffy, we picked up this mango stuff from TJ's. It's not bad. In fact, I think both of us would choose it over most brands of saltwater taffy we've tried. 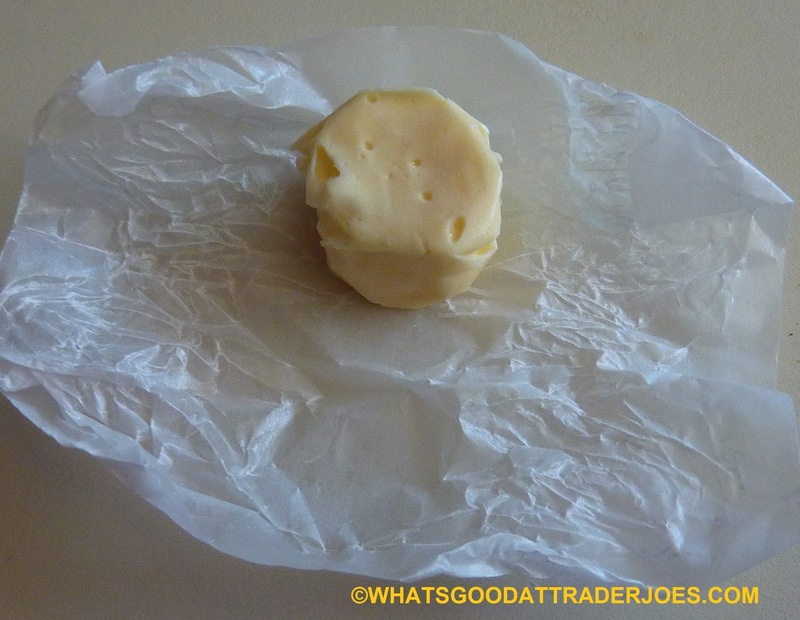 Granted, we're not huge into taffy in general, but we've had enough to know decent taffy when we taste it. The first thing that jumps out at me about this candy is how incredibly soft it is. Oh, wait. That's probably just the near 100 degree temperatures and ridiculous humidity making it extra squishy. Somehow, it works, though. It's still solid enough that you can slurp it off the wax paper wrapping in one piece. We cranked the AC for a while and found an unusually solid specimen for the pic on the right. Now, I might be alone here, but I swear there's this moment while I'm eating the taffy where it feels like it's not going to dissolve properly in my mouth. It seems to display the physical properties of chewing gum for a few brief moments and my gag reflex wants to kick in. But before it does, the taffy finally thins and magically deliquesces down my throat and into my belly. Flavor-wise, it's a sugary, yet natural-ish kind of mango flavor—not quite like the actual fruit, although there is "mango juice concentrate" listed in the ingredients—but similar to what you might expect from mango gummies or mango sorbet. It's a candied mango kind of taste—very pleasant if you enjoy mango-flavored things. In most cases, this would not be my dessert of choice, just because I'm rarely in the mood for taffy. But as taffy goes, I must admit it meets, if not exceeds, my expectations. Three and a half from me. Sonia, also not really a taffy girl, was even more impressed. Four from her. I found it too soft and airy so I froze it. Much better. The flavour was really good and strong!